This month Partech’s Joint Managing Directors Angus Fosten and Roger Henderson flew to China to visit our distributor based in Beijing, Beijing Ben-Hua. The trip was to further enhance the relationship between Beijing Ben-Hua and Partech, as well as discuss future product requirements with Tianjin Design Institute. The directors spent much time with Technical Manager Xaiohui Li at the Ben-Hua offices and on various sites. They attended a Sewage Treatment works built by Origin Water, a company who last year placed a record export order with Partech through Beijing Ben-Hua. The site was equipped with TurbiTechw² LR Sensors, TurbiTechw² HR Sensors and WaterTechw² Redox8000 Dip Sensors, all installed underground and working well. 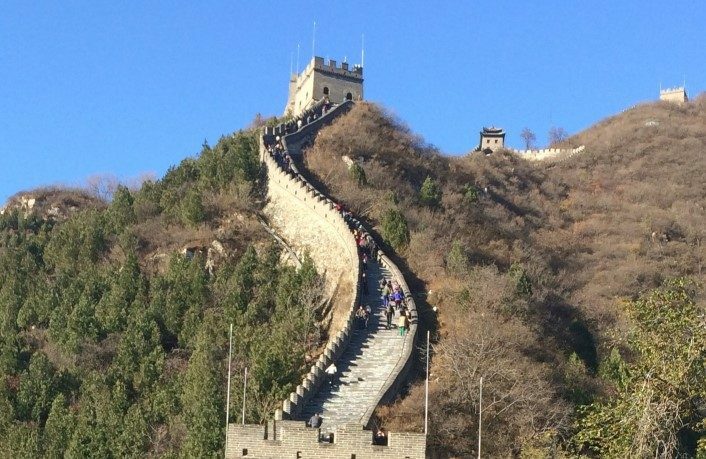 There was also much sight seeing to be done and Xaiohui Li took the directors to see the Great Wall of China, Ming Dynasty Tombs and the Forbidden Palace. We look forward to a successful 2018 working with Beijing Ben-Hua!